This image, which makes you cold just by looking at it, is perhaps more reminiscent of the Eastern Front in WW2, but in fact it was taken in early 1917. 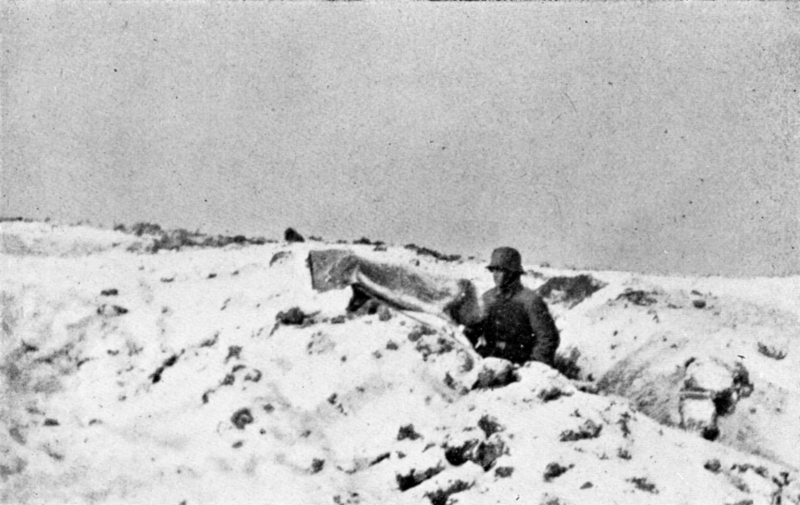 It shows a German machine-gun position in a forward trench close to the village of Le Transloy on the Somme front during the winter of 1916/17. This was the coldest winter of the war on the Western Front, when temperatures dropped to minus twenty on the Somme. This area of the battlefields is open and exposed, even in the summer, and one can only imagine what it must have been like to survive during that winter nearly a hundred years ago. The photograph comes from the photo history of the 26th Division, a Wurttemberg division, who fought in Russia and on the Western Front. As the depths of winter approach the Western Front turns one hundred; it was created a century ago following the First Battle of Ypres and the fighting in France when the German forces had been stopped. Germany now faced a war on two fronts; facing Allies in the west and the Russians in the East. In response German troops dug in, and those opposite soon did likewise; these were not the first trenches, however. Those had been dug on the Aisne in September 1914 when the Germans haven been defeated on the Marne, pulled back to the Aisne heights. 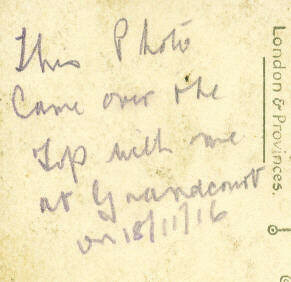 Here small systems of trenches were dug and the first signs of static warfare appeared in images of the period. 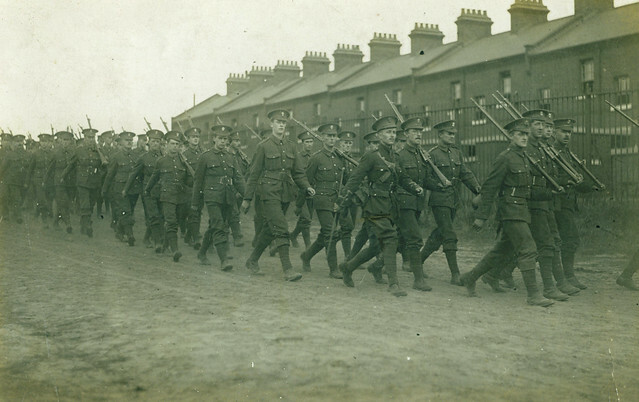 By December 1914 the system of trenches were no longer posts laid out in isolation. Both sides were joining them up creating whole networks of trenches which by early 1915 would result in 450 miles of continuous trenches running from the Belgian coast to the Swiss Border: and thus the Western Front was born. 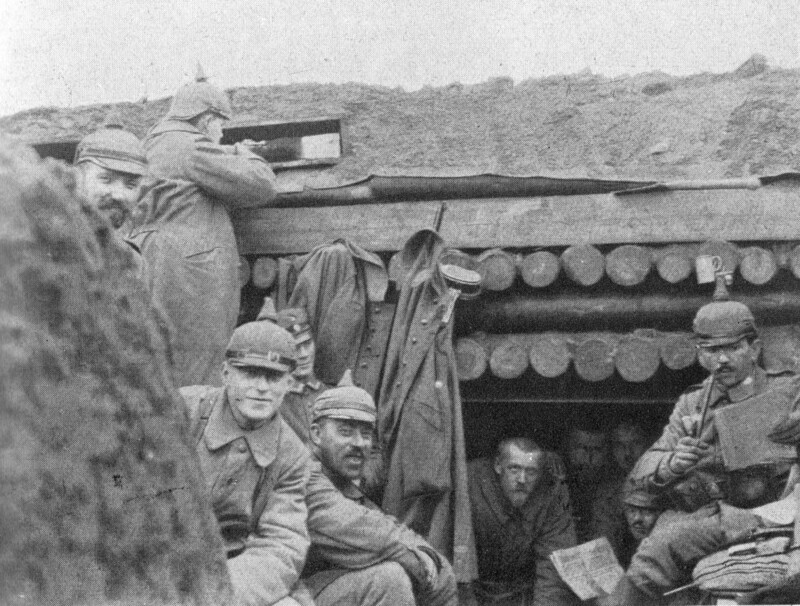 The images seen here come from a contemporary photographic history of the German 26th (Reserve) Division and show some of the first trenches they had dug on the Somme front around Thiepval. 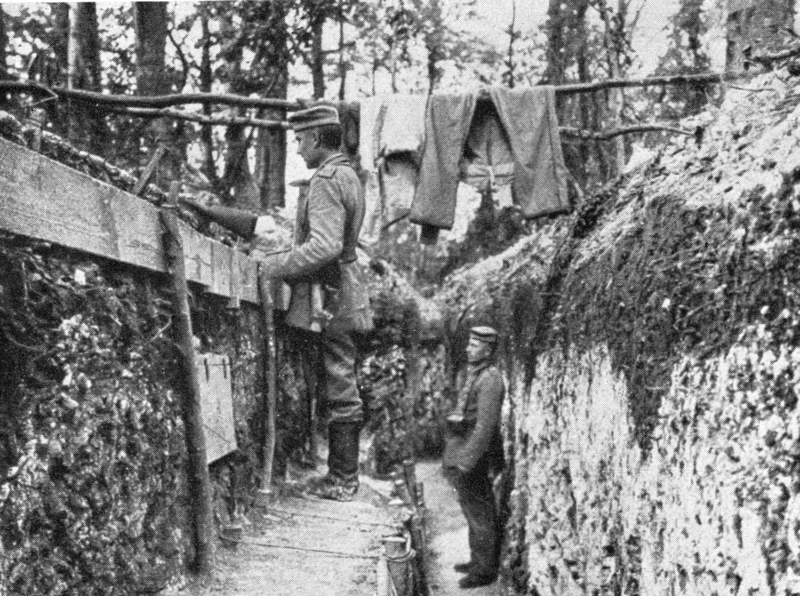 The trenches were basic, often straight, and gave only rudimentary protection from artillery fire, which at this stage of the conflict was nothing like it would later become of course. The top photograph shows men in the wooded area below Thiepval chateau and the image above shows a strongpoint on the ridge. It is hard to think of the Somme outside the context of 1916 but these images clearly show that the development of the system of defences that would play a role in the battle here eighteen months later would require time to build up, time the Germans would subsequently have in this sector. 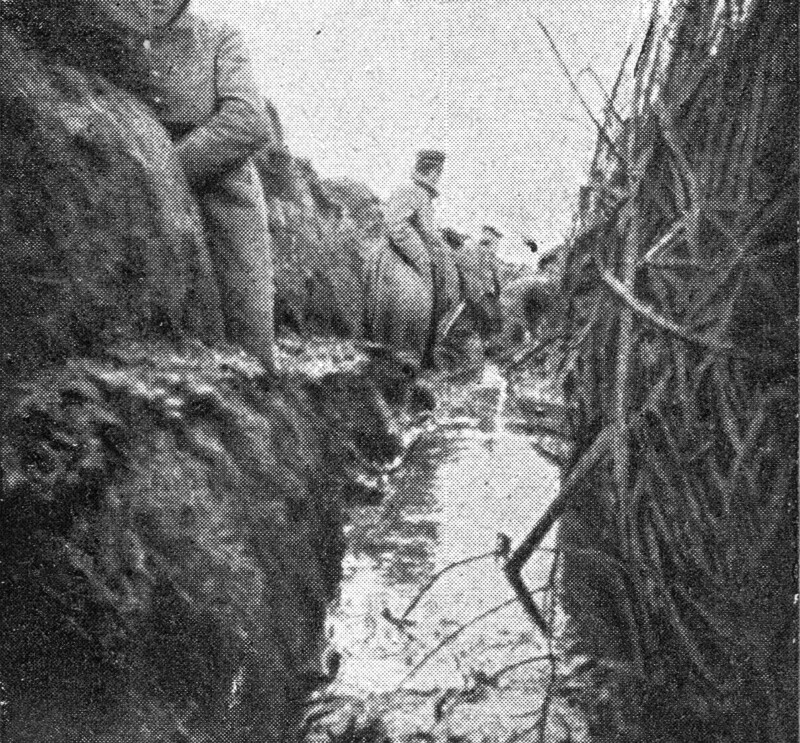 For now they would doomed to spend the first winter on the Somme in muddy ditches (below) which would soon be filled with snow, while they faced the French troops beyond. 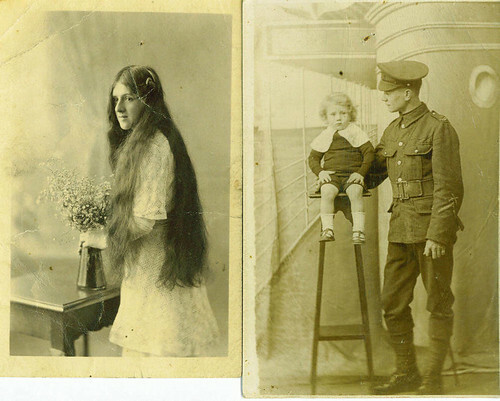 A century ago today the cities, towns and villages that would fall in the path of war and the destruction of the Western Front went about their business as usual. 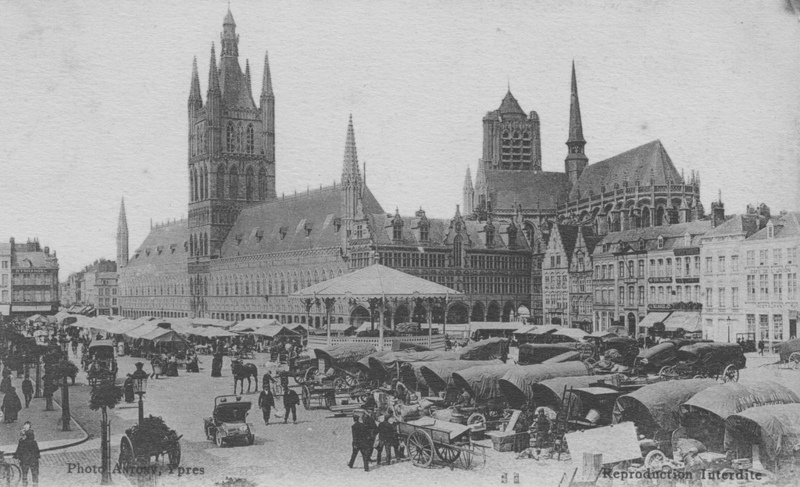 The 1st August 1914 was a Saturday and no doubt the market seen in Ypres above was its usual busy self. 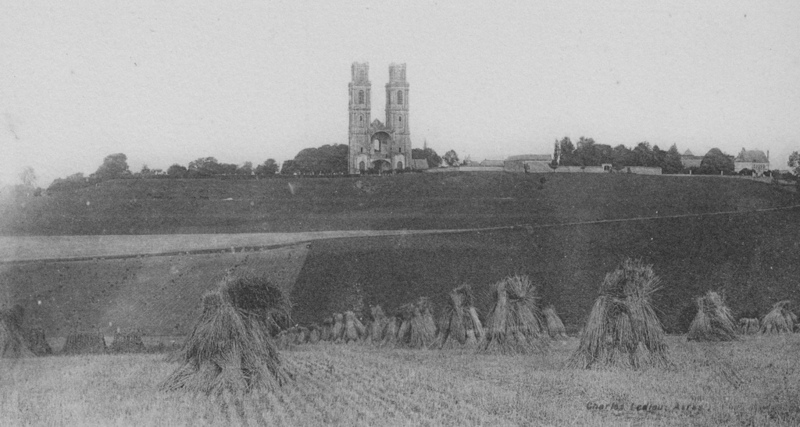 In the fields near Mont St Eloi, on what would become the battlefields of Arras, the crops were getting ready to be harvested. 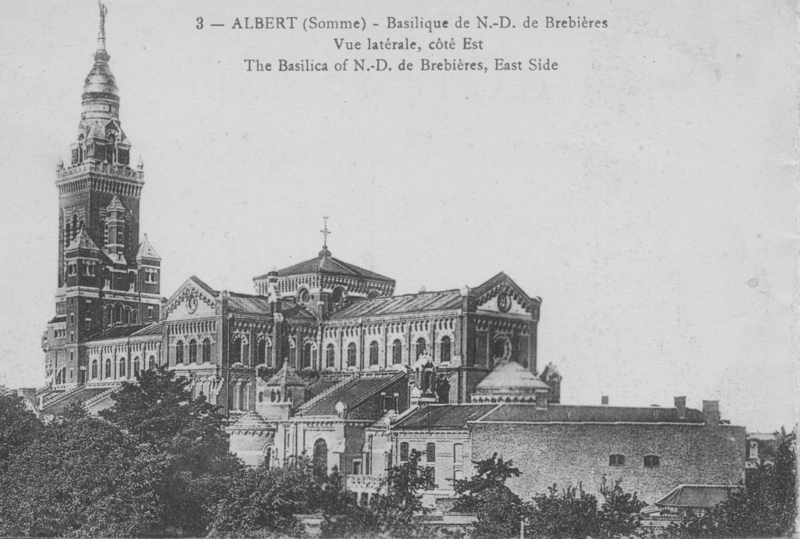 In Albert the basilica (below), only two years old, would soon be ringing its bells to summon the ‘Ceux de 1914’ – the generation who went to war in France in 1914 – to uniform and the road to the front. Four years later all these places stood in ruins, now part of the ‘Zone Rouge’ – the Red Zone, that long swathe of Europe smashed to oblivion by the Great War. 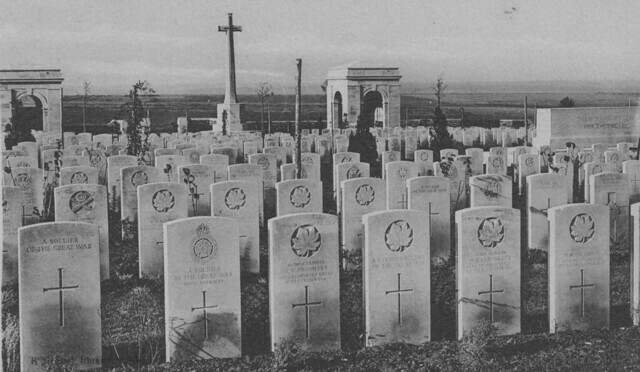 By the 1930s the work on the war cemeteries was almost complete, but the final cemetery was not actually finished until September 1938; one year before the outbreak of the Second World War. This image of Regina Trench Cemetery, right out in the fields close to the village of Courcelette, had been built on a site where heavy fighting had taken place involving men of the Canadian Corps in September-November 1916. It was subsequently enlarged post-war by concentrating graves in from the surrounding area. The headstones here look new; the trees are young and the plants which would give them the appearance of the ‘English garden’ just beginning to take hold. Today it remains a place of tranquility and reflection just as it was in those early days, and one of many Silent Cities well off the tourist route and rarely visited. The documentary Somme: Secret Tunnel Wars is about to start on BBC4 and promises to be a fascinating insight into the archaeology of the war underground on the Somme in 1916. Part of the programme will apparently feature the Lochnagar Mine Crater, perhaps the most visited British mine crater today on the Western Front. But this was not always so. 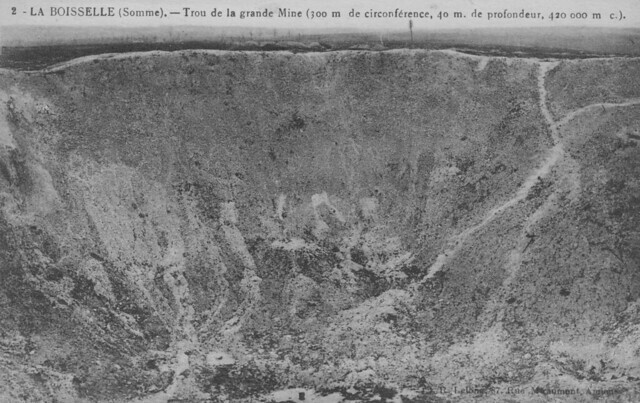 In the inter-war period the Somme was visited by hundreds of thousands of battlefield pilgrims, many of whom came to La Boisselle and many of whom visited a mine crater there, but it wasn’t Lochnagar, but the Y Sap Mine Crater. This was a major ‘tourist location’ in the 1920s/30s as it was close to the Albert-Bapaume road and easily accessible from the main road, which Lochnagar was not. However by the 1970s the Y Sap crater was hardly visited and the owner filled it in; leading to Richard Dunning saving the Lochnagar Crater when that too was threatened with the site now preserved by the Friends of Lochnagar.